The Greuter Boost with Colour uses the same circuit as the Greuter Boost, with an input capacitance control and a switchable active tone control. The Greuter Colour Boost uses the same circuit as the Greuter Boost, with an input capacitance control and a switchable active tone control. Based on the legendary Treblebooster. 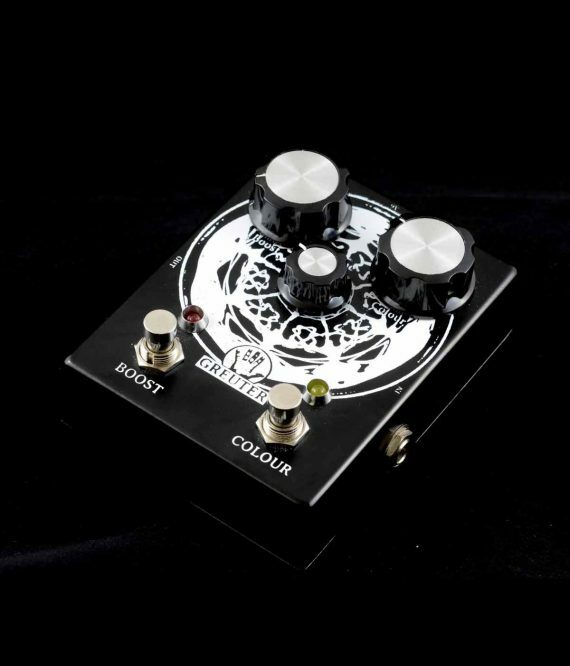 Boosts treble and makes your guitar sounds dirty with some overdrive. This is no Clean Boost. 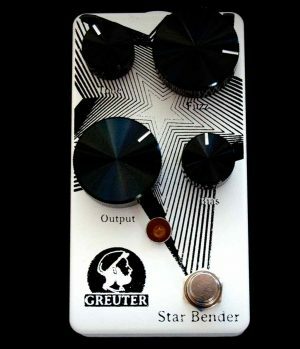 It cuts very well in the mix and pushes overtones into feedback. 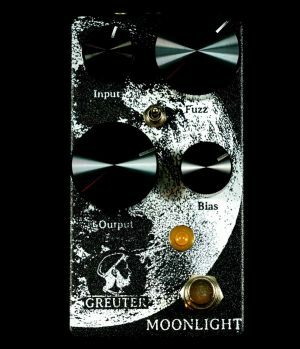 Works very well with cranked small tube amplifiers. Great to reproduce the guitar tones of Eric Clapton (Beano and Cream), Jimmy Page, Jeff Beck, Ritchie Blackmore (early Deep Purple, Tony Iommi (early Black Sabbath), Marc Bolan (T-Rex), Brain May (Queen), and many more. 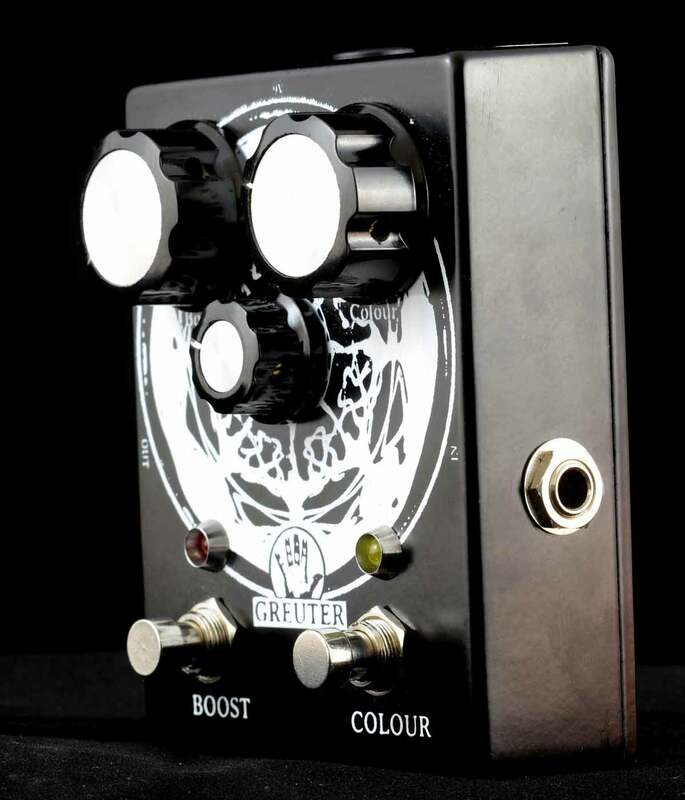 Handbuilt in Switzerland, True Bypass, Switchcraft plugs, big knobs, hand selected and ear biased germanium transistor. 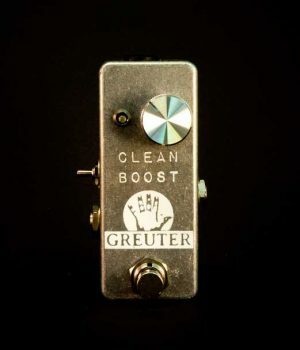 Since the germanium transistor are PNP and have positive ground, you usually are not able to use germanium pedals with normal 9V adapter. 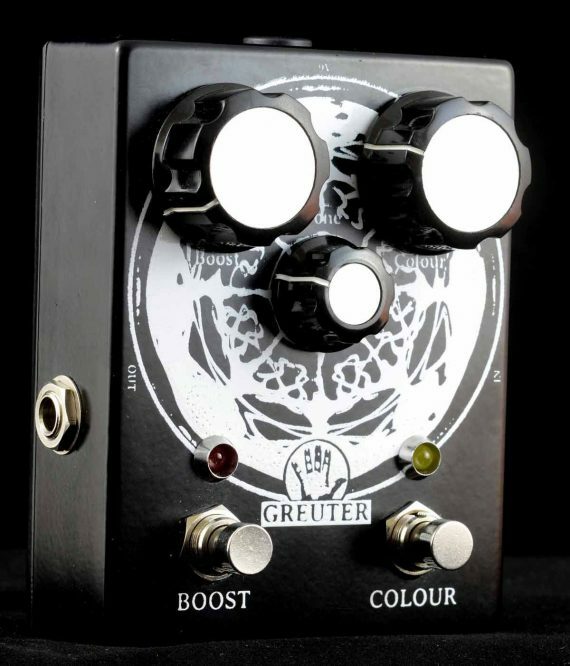 The Greuter Germanium OD has an internal polarity converter to use it with normal 9V adapter. There’s no hassle with only using batteries or special power supplies. Works 9V dc adapter (negative tip). We suggest a regulated and isolated power supply. Volume: The more volume the more it overdrives. Tone2: Active tone control to push your guitar sound into the stratosphere. It’s not just from dark to bright. On left it sounds like it’s off then it starts boosting the low midrange till about 8 it starts to boost upper mids and trebles. 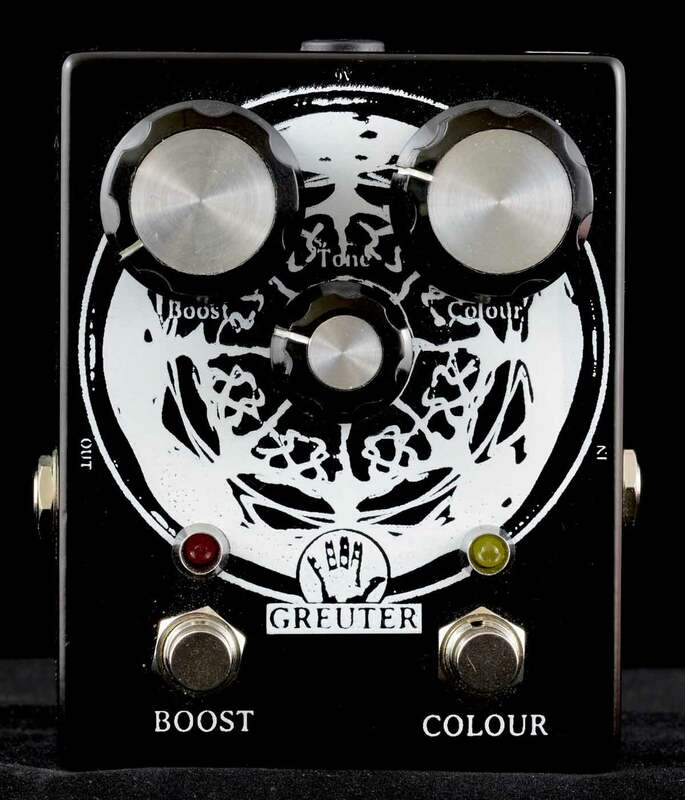 The tone circuit acts very subtle and organicly. 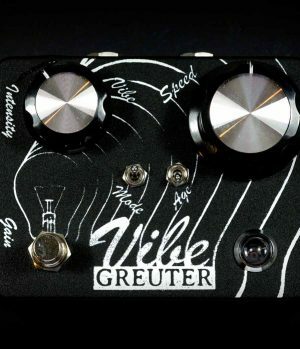 It’s hard to describe what it exactly does but it’s great to dial these bright 50’s and 60’s guitar tones.